We have a long experience of working in cabaret and burlesque. We’ve been running our Finger in the Pie Cabaret showcase at Madame Jojo’s in Soho since 2007 and have launched some of the biggest names on the Cabaret Circuit. If you would like us to help you develop a new or existing cabaret routine we’d love to hear from you. Everyone we help develop a routine with will be offered a slot at the Finger in the Pie night at Madame Jojos. Do you have a big audition coming up and you need to brush up on your monologue. We’re happy to help. We can work with you on your dramatic, comedic or classic monologue, giving you the support and direction you need to give your best performance. Are you looking to include a puppetry sequence in your performance but need a few starters to get you going? Perhaps you have already developed a routine and you now want to give it a final finesse before the first performance. 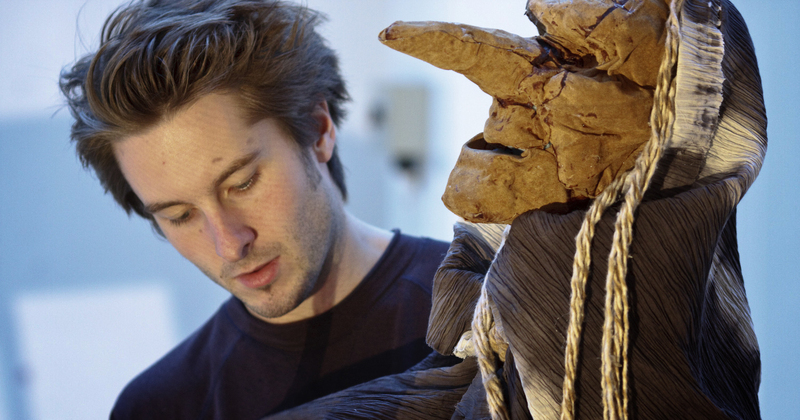 Either way we have many years of puppetry experience and lots of practical advice and help to get you on your way. We’re happy to offer movement direction and training for individuals and company’s looking to develop a particular character or sequence. We are happy to work with you from scratch or work with a pre-existing scene. We’re happy working with trained physical theatre practitioners or performers with no formal movement training – either way we can bring years of movement experience, practical advice and direction to your work.